Shifting and reversal of selected gateways and portals occurs at this moment. Required to accommodate slowing of some Light worker’s ascension patterns, some of these will revert to prior energetic states, whereas others will retain the new configuration. Much occurs during the 6-15-13 (a 6-6-6) to the 6-18-13 (a 6-9-6) period. Key gateways for transformation of humanity (small ‘h’) to Hue-manity have been opened and stabilized. These have been prepared, as a step stone, for final step of Gaia to Higher Gaia. Purification followed by clarification occurs via these gateways for transformation, and those ready for such purification and clarification will experience such. Concomitant narrowing of Ascension pathways may also be anticipated. Dratzo! We return! At this time our associates are making the adjustments and orders of scale necessary to ensure that your abundance deliveries are disbursed as planned. A series of final agreements and orders of contract are also now being completed. The moment is coming for these deliveries to be successfully initiated, and so the dark cabal is being closely watched by a number of Galactic Federation and Agarthan liaison teams, whose purpose is to see that no serious violation takes place prior to starter’s orders, as has happened so often in the past. As of this update, pre-launch operations are underway, and we foresee no impediments which might cause speed bumps or deviations from the path embarked upon. The many groups we are associated with have completed their to-do lists and are putting the required personnel into position. We are closely monitoring this operation to ensure a formal commencement at a predetermined time. These actions, once begun, will be the first strokes on a much broader canvas which is intended to change your reality out of all recognition! Millennia ago, an ill-starred realm was brought into being which has been your lot for far too long. This realm crushed your grand potential, enfeebled your Spirit, and allowed those in power to ride roughshod over you. This realm is ending. Each of you is to be set free and encouraged to freely pursue your contracted life path. This objective will thrive once the dark cabal’s ubiquitous agents are removed from authority. Quite quickly you will be liberated from the droves of obstructions and burdens with which you have been saddled since birth. To assist you in grasping the significance of the opportunities enveloping you so fast, the Ascended Masters and the Agarthans have come up with a curriculum of teachings to bring you up to speed on what is happening, what you need to know, and how best to adapt the new knowledge to your individual circumstances. These teachings will be only guidelines that you can use to get a better understanding of what your new world can look like. Armed with these basics you can gain a broader comprehension of how your consciousness is changing and a clearer appreciation of the work that you and your individual Federation mentor will be doing together. Imagine for a moment what an enormous impact this mentoring program will have on you! Each one of you on this planet is to be assigned your own personal mentor who will be responsible for leading you gently and Lovingly out of the fog and confusion of a dark and dying world, and into the increasing brilliance of a Lighted realm which many do not consider possible even in their wildest dreams! What a lot to take on board in such a short time! This is why you need a personal guide at your side 24/7 who can inform you about so very many things and who will be able to answer all your questions and concerns as they arise. More stunning by far than the changes to your planet and solar system are the changes happening within you and where this will take you. To give you a small indication: you have an expression, ‘rags to riches,’ and yours is to be the mother-of-all rags-to-riches transformations happening on many levels, especially the spiritual one. Such a prospect can quickly put you into overwhelm, and this is why you will need wise and Loving mentors to reassure and inform you as your new world unfolds. As your new environment blossoms around you, you are to rediscover who you were created to be, and why you incarnated in this particular part of physicality. Once you have successfully surmounted the massive watershed which is first contact, you can turn your attention to understanding the ‘bridge’ that you represent. You will be living in two worlds: your present limited-consciousness one and the full-consciousness realm that you are rapidly moving into. Here, many new concepts are to become everyday realities, like your life contract and what this signifies, and the Four Laws and their role and implication in galactic society. With this data you can begin an increasingly informed exploration of what you want your own galactic society to look like. Your experience of straddling two worlds provides you with unique wisdom, and it is this that is to be used by Heaven to spread the Light. Many beings in physicality are in need of acquiring a Lightbody and your unique experience in this area will be invaluable to them by substantially shortening their path to full consciousness. Blessings! We are your Ascended Masters! These are most auspicious days! Many things are happening which herald a great change in your most limiting reality. Affairs on your world are set to explode (but not literally!). A new range of possibilities has at last appeared which promises to create opportunities for us all. Your world is mired in the throes of a struggle that is hatching a new spectrum of existence; in short, a whole new era and wholly new ways of creating our lives. It also means that we can come among you again to teach what we know from our experiences of becoming immortal. To bring you these truths is a most longed-for pleasure for us! What you may not realize is that you possess within you an invaluable wisdom that needs to be brought forth, and this is where we come in: it is our task to complete what the great spiritual teachers did millennia ago. Then these divine truths can at last be clearly recognized and properly esteemed by humanity. 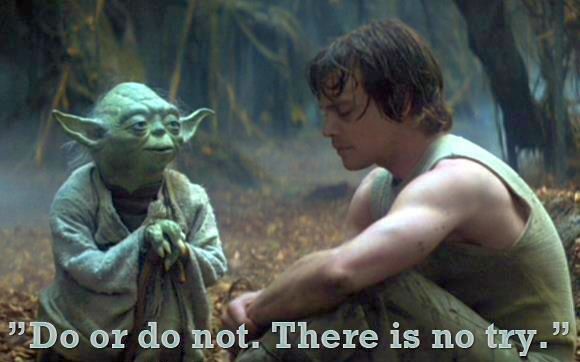 These great truths will form the living heart at the core of your galactic society. Each of you is a grand and unique aspect of the Creator, and together we form a beautiful collection which is part of the unity that is all life. We each have duties and activities that we perform in concert with the immediate whole, and this in turn correlates with the wider whole like a massive symphony. This magnificent harmony is to bring joy to Heaven and all who pause to listen and to observe its sacred effects. Spirit is pouring out her Love and care for this reality and we are committed to bringing you some sense of what is coming, and to prepare you for this truly spiritual and physical first contact. We are pledged to shift this reality, and then to deliberate deeply about what it all means. We are standing on the very brink of a wave of activity which will eternally transform our world! We come, therefore, full of joyous anticipation and brimming over with Love. We deeply feel the responsibility of explaining to you something of what is to manifest in your lives. This land has not seen the likes of what is coming in over 13 millennia! Heaven is thoroughly resolved to transform each of you in such a way that Gaia is enfolded in a reality that is a true dispensation of Heaven and a grand decree of AEON. Furthermore, there is no hint of the haphazard in this undertaking; the intent of the divine plan fills our hearts and informs all that we do. 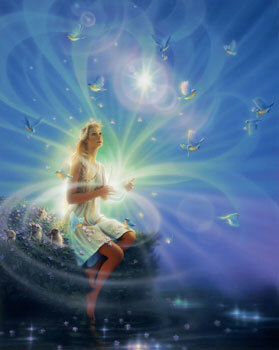 Be therefore open to receive miracles and watch as your present dark realm flees before the incoming radiance of Love. Over the years we watched the world slowly awaken, and now the gathering momentum is such that the long-promised changes can start to appear and begin to make a difference! The moment we have so long awaited is upon us now! Hosanna! Hosanna! Hosanna! Today, we continued with our messages. We thank you all for your Love and dedication to the cause of the consciousness transformation that is the divine Will of Spirit. The time for the great shift in humanity is nearly here. This will be the path that leads all of us to first contact and full consciousness! Know, dear Ones, that the countless Supply and never-ending Prosperity of Heaven are indeed Yours! So Be It! Selamat Gajun! Selamat Ja! (Sirian for Be One! and Be in Joy! Crossings of dimensions now occur in each moment, by those attuned to connection of Higher Self and Higher Gaia. Even Gaia processes ascension intentions to allow humanity (small ‘h’) and Hue-manity to coalesce with her. Changes of overall humanity consciousness is matched by Higher Gaia adjustment of process. 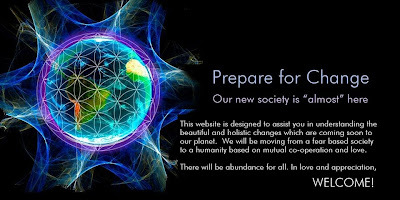 Intentions of humanity enmasse now begin to support Gaia ascension. All releases occurring at this moment produce multi-fold increase in consciousness. You can still continue sending your questions about the planetary situation to alexandra@galacticconnection.com and many of them will be answered in the next overview. Dissonant energetics currently are arising and may be sensed by many as Gaia sheds destructive themes and slavery paradigms. Many will be “immersed” in energetic regions and physical locations undergoing the dissonant patterns. We of Èireport community remind all that remaining observant of exposed dark themes and/or dissonant energies is most helpful at this time. Participation in the dissonance is NOT recommended, nor required for these to dissolve. This will occur simply and quickly as they are generated. Being in Joy and living in Peace during each moment will benefit all in this period.